GSI’s client-focused services are individually tailored to each client’s unique needs and strategic goals. GSI will effectively communicate both policy and political dynamics that influence legislative and regulatory action, and will make recommendations regarding and needed educational outreach or public awareness campaigns. 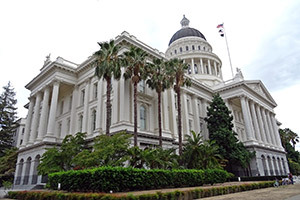 Not only with elected legislative representatives, but with key legislative staff and lead policy committee consultants in both the California Assembly and Senate. Yolanda has a long-standing relationship with many staff and consultants in the State Legislature because of her background and those relationships open many doors. Newly elected members: With close to 40 newly elected members coming into the state legislature, it will be important to meet with those new members early in the new legislative session and continue to build on those relationships. Targeting members: We will identify the key legislators on specific policy committees and other appropriate leadership where additional interaction is necessary. GSI will work with their clients to identify which state departments to target, including the key legislative staff, departments and agencies that will handle the issues impacting the activities and operations member of their clients. GSI will ensure that no activities, conversations or discussions are left unturned. GSI will stay abreast and at the forefront regarding any issues that may be part of informational or special hearing in the Legislature or the Administration. California now has the largest delegation of Latino legislators in the nation, other than New Mexico. GSI has a strong relationship with the powerful Latino Legislative Caucus and has served as an advisor for many events and summits that have been organized for the Latino Legislative Caucus. Additionally, GSI represents their clients and works closely with the Asian, Pacific Islander (API) Legislative Caucus when appropriate to accomplish the goals for the client. There are many interactions already with these diverse caucuses and GSI will continue to keep those relationships strong. 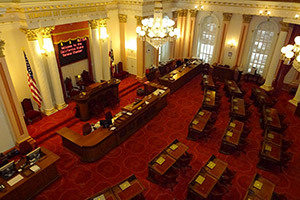 Track and monitor all legislative proposals that may have an impact on our clients. Work and develop a Lobbying coalition on priority issues. Identify and navigate all legislation and advise our clients if and when action or a position should be taken on specific proposals. Analyze the impacts of legislative proposals and advise our clients on plan of action. Provide monthly/quarterly updates regarding legislation. 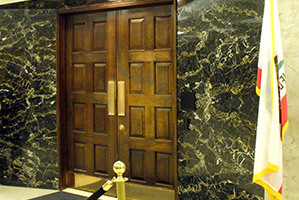 Attend appropriate legislative, informational, policy and Administration hearings on behalf of their clients. Ensure representation of their clients at all other meetings, forums or conferences where appropriate. Develop and write letters of opposition or support on behalf of their clients. Testify and lobby before the State Legislature in all committees and select committees as appropriate. Assist in organizing meetings with key legislators and/or Administration officials. 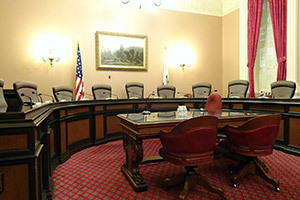 Advocate on behalf of their clients at appropriate policy or committee hearings before the California State Legislature and other appropriate public policy forums. Lead appropriate Public Policy Committee and other committee conference calls with agenda preparation and discussion. Write for newsletters and updates to the membership for their clients regarding legislative or regulatory activities. Provide needed updates, as necessary and appropriate, regarding priority issues through e-mail and other communications sources. Our services are individually tailored to each client’s unique needs and strategic goals.